28.02.2013 (Hvino News) Giorgi Margvelashvili, director of Georgia's largest wine producer Tbilvino, commented to recent criticism of inspections by Russia’s consumer watchdog Rospotrebnadzor of enterprises that want to resume selling products to Russia. According to Mr. Margvelashvili, checking of Georgian wine by Russian Sanitary Service is normal. Russia carefully checks products that goes to its market, and the Russian market is strictly regulated. 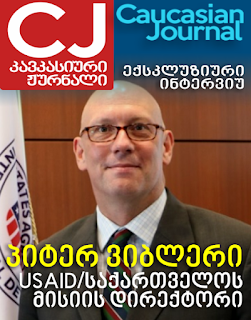 Giorgi Margvelashvili said that it is a worldwide accepted practice, and the Georgian products had been checked by the Ukrainian quality control services, as well as by the Britain's specialists. “It seems quite a normal thing for our field specialists,but why politicians consider it "abnormal" fact, I cannot understand, "- Margvelashvili said. Tbilvino's director explains that such statements are "not good", especially when they are made by head of the state. Giorgi Margvelashvili hopes that it will not interfere with access to the Russian market. Georgian minister of agriculture calls President Saakashvili's remarks "irresponsible"
28.02.2013 (Hvino News) Georgia's Minister of Economy and Sustainable Development Giorgi Kvirikashvili on Wednesday made a statement in response to President Mikheil Saakashvili’s recent criticism of inspections by Russia’s consumer watchdog Rospotrebnadzor of about 40 wine making and four mineral water producing enterprises that want to resume selling products to Russia. On Tuesday, Saakashvili publicly questioned the reasons behind Russian experts' presence in Georgia.“A Russian official wants two kopeks [penny] in the pocket to leave satisfied. 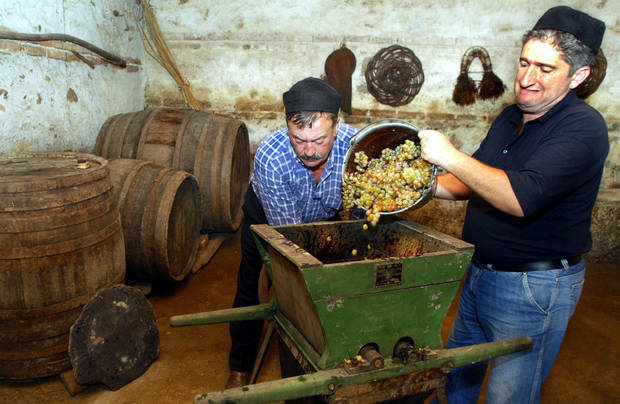 Do you really think they arrived here to monitor chemicals in our wine?” Saakashvili said. "This is an irresponsible statement, which puts well-being of 100,000 of our citizens under question. Unfortunately, because of this rhetoric ... the Russian market is closed to us, which results in losses for many people. Today, they continue this same style ... Such activities can be seen as sabotage, "- said Kirvalidze at a special briefing on Wednesday, February 27. The resumption of wine exports to Russia will benefit Georgia's economy, and the government has no plans to reverse previous agreements, said the minister. 27.02.2013 (Hvino News) Catholicos-Patriarch Ilia II of All Georgia met with representatives of Russia's Rospotrebnadzor, who are in Georgia to inspect the Georgian wine and mineral water manufacturers seeking permission to supply their products to Russia, in his residence on Wednesday. Ilia II expressed his satisfaction with the fact that Georgian wine and mineral water will return to the Russian market, the press service for the Georgian Patriarchate has reported. "The Patriarch believes this fact will contribute to the settlement of the complex relations between Russia and Georgia," the press service reported. Catholicos-Patriarch Ilia II graduated from the Moscow clerical seminary and Moscow clerical academy. He criticized President Saakashvili on many occasions and stands for improvement of relations with Russia. 27.02.2013. On February 4, a Georgian delegation led by Levan Davitashvili, the head of the National Wine Agency at the Ministry of Agriculture, held another round of trade negotiations with Gennady Onishchenko, the head of the Russian state consumer agency Rospotrebnadzor. After the negotiations, the officials declared that the imports of Georgian wines and mineral waters to Russia could be allowed to resume by the end of this spring, at the latest. However, as Onishchenko stated, groups of experts from Rospotrebnadzor would visit Georgia within two weeks to inspect wine- and mineral water–producing factories. So far, no final trade agreement has been reached between Georgia and Russia. Negotiations are still largely ongoing. Russia, citing quality and safety concerns, banned the imports of Georgian wines and mineral waters in spring 2006 amid a Russian-Georgian spy row, in order to sabotage the Georgian economy. 27.02.2013. Specialists of the Russian Federal Service on Customers' Rights Protection and Human Well-Being Surveillance (Rospotrebnadzor) visited Tbilvino winery. The delegation members thoroughly inspected sanitary and hygiene conditions of the enterprise. In 2009 Tbilvino was successfully certified with ISO 9001 (Quality Control) and ISO 22000 (Food Safety Management) standards. 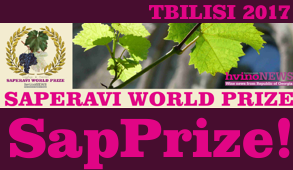 This fact gives us confidence that Rospotrebnadzor will allow Tbilvino to export its wines to Russian Federation. 27.02.2013 (Hvino News) Russia's consumer protection watchdog Rospotrebnadzor may withdraw its inspectors from Georgia because of Georgian President Mikheil Saakashvili’s statements criticizing their work. As a result of the yesterday's announcement made by Saakashvili on February 26, Rospotrebnadzor may withdraw its inspectors from Georgia. "If the situation is not normalized, I will raise the issue of withdrawal of experts and will cease their work in Georgia," - Gennady Onishchenko, head of the agency, commented to Russian news agency Interfax. He says that until the abuse of Russian specialists continues, as well as other acts that impede the normal work, an issue on Russian experts’ early withdrawal will remain open. 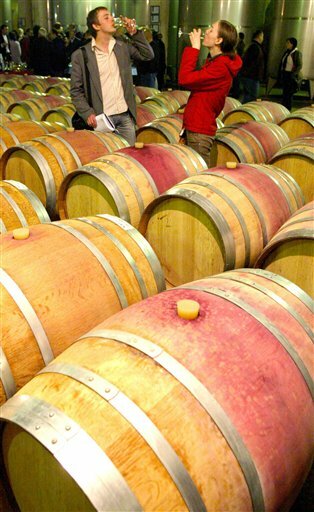 26.02.2013 (Hvino News) A delegation from Russia starts inspections of Georgian winemakers and mineral water producers today. Russian specialists arrived in Georgia on Monday evening. “From Tuesday the experts will start their work,” Georgian National Wine Agency's head Levan Davitashvili told Russian agency RIA Novosti. Gennady Onishchenko, head of Russian consumer agency Rospotrebnadzor, has previously said three groups of specialists had gone to Georgia to inspect 40 wine-making and four mineral water producing enterprises in Georgia. 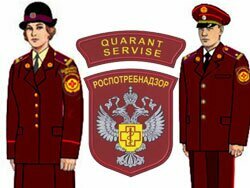 25.02.2013 (Hvino News) Russian Chief Sanitary Inspector Gennady Onishchenko reported to Russian news agency RIA Novosti that three groups of specialists leave for Georgia today. They will examine 40 wineries and 4 enterprises producing mineral water during this week. "We have in due course received guarantees from the government of Georgia. Three groups of experts fly to Georgia today and over the coming weeks will be to work there, checking 44 enterprises", - Onishchenko said. Inspectors will give ratings to their products, which will then determine whether to allow Georgian companies to enter the Russian market. 25.02.2012. Leading Arab television channel AlJazeera yesterday featured a video report from its Moscow correspondent on return of Georgian wine to Russian market. 22.02.2013. (Hvino News) Georgia’s Minister of Agriculture Davit Kirvalidze met yesterday with the Ambassador of China to Georgia. As Ministry of Agriculture informs, future cooperation between the countries was discussed. “The Chinese side is interested in increasing Georgian wine export. One million bottles of Georgian wine was exported to Chinese market last year. China is also interested in other Georgian products, such as fruits”, the ministry informs. A visit of Chinese business representatives and a governmental delegation to Georgia is planned in Georgia. 21.02.2013 (Hvino News) Russian experts would arrive in Georgia on February 25th, to inspect Georgian wine and mineral water companies, according to Russian news agency Interfax. 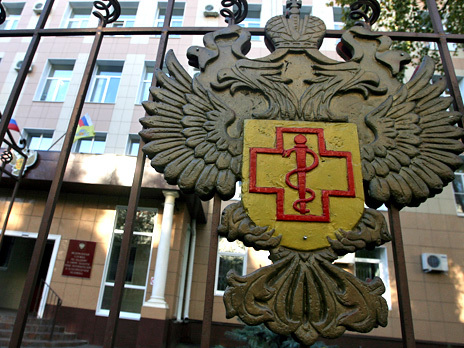 Russian chief sanitarian doctor Gennady Onishchenko said that his agency Rospotrebnadzor is prepared to send three groups of experts to monitor the work and standards of 44 Georgian companies, which expressed their interest in exporting products to Russia. The delegation plans to stay in Georgia until March1. Onishchenko says the Russian side is now waiting for the official confirmation regarding diplomatic and organizational support to this process, which will be followed by the visit of Russian experts to Georgia. 21.02.2013 (Hvino News) Georgia's agriculture minister David Kirvalidze and chairman of National Wine Agency Levan Davitashvili met yesterday with wine and spirits producers. The meeting was attended by Zurab Abashidze, Special Representative of Prime Minister for Relations with Russia, Tina Kezeli, head of Georgian Wine Association. Export of Georgian products to Russia was the main topic of discussion. "The visit of the Georgian delegation was effective, and soon we will witness positive progress in this direction. The meeting with manufacturers was held today to decide how to continue the work in this direction. I am confident that Georgian wine, which goes to the EU and the U.S. markets, meets their standards, and it will be easy to find a place for it on the Russian market. Naturally, this will not happen immediately, but I am sure that in each subsequent year volumes of Georgian products on the Russian market will increase. And most importantly, no company is going to give up its acquired positions on the Russian market upon getting an access to it," David Kirvalidze said. Levan Davitashvili informed business representatives on results of visit of Georgian delegation to Moscow. 21.02.2013 (Hvino News). 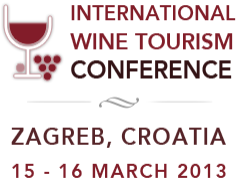 Georgia will participate in 5th International Wine Tourism Conference (IWINETC). 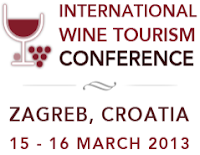 The event will take place on 15 - 17 March in Zagreb, Croatia. 19.02.2013. The export of Georgian wine to Russia will be conducted by the new Association of Exporters of Georgian Wine, tasked with the dissemination of reliable information on Georgian products in Russia, as well as the organization of contacts between Georgian producers and Russian companies and importers. Presentation of the Association of Exporters of Georgian Wine was held in Tbilisi by Georgiy Seturidze, head of Center for Georgian-Russian Economic Cooperation. The new trade association was established by several wine producing companies. 18.02.2013 (Hvino News) Badagoni and Askaneli Brothers will be the first wineries to be inspected by the Russian experts, which are expected to come to Georgia soon. The Coordinating Centre for International Investment reported that it was decided that companies collaborating with the Centre are the first who will be inspected, according to Georgian radio Kommersant. The Russian delegation is supposed to arrive in Georgia this week. 18.02.2013 (Hvino News). Russia's state agency Rospotrebnadzor experts will depart to the Georgian plants for the inspection after Georgia provides verifiable documentation on the additional list of companies, according to agency's chief Gennady Onishchenko. According to Mr. Onishchenko, "the Georgian side has withdrawn six companies from the list", but "added more than 10, but we cannot find their documents". "Right now, our experts do not go. They can go to the Georgian plants, when they submit a paper on the 12 additional companies that Georgia has made to the list in reverse response", the head of Rospotrebnadzor said. Gennady Onishchenko stated he was surprised at media attention to the issue of return of Georgian wine to Russia. "This is clearly biased attention and interest, since the Georgian wines have never had and will never obtain dominant influence on the Russian wine market. This is due to the fact that in the best of times, Georgia was producing nine million dal of wine as a whole. They have small area; but it is really the cradle of wine", Onishchenko said. 18.02.2013 (Hvino News) The Center for Georgian-Russian Economic Cooperation will hold a conference for Georgian wine companies in Tbilisi today. In the framework of the conference the new Association of Exporters of Georgian Wine will be held. New trade association Association of Exporters of Georgian Wine was established by several Georgian companies. "The goal of the association is the establishment of profitable unions with Russian importers based on joint efforts," the organizers report. The conference is attended by more than 20 Georgian wine companies. The Center for Georgian-Russian Economic Cooperation will help the new association of winemakers with its consultations and professional service. 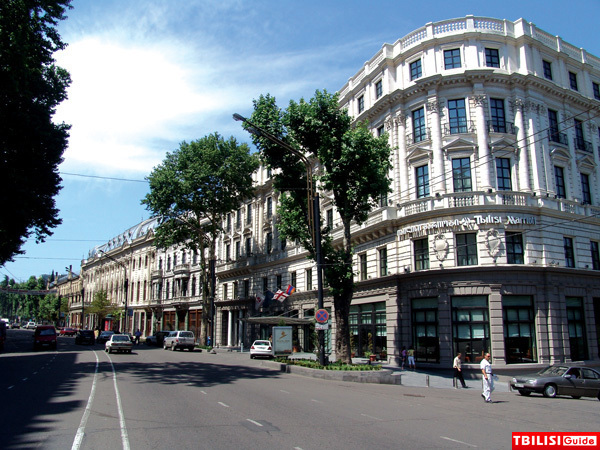 The Center for Georgian-Russian Economic Cooperation was established in 2012 with the goal of restoring economic relations with Russia. 16.02.2013 (Hvino News). Russia has requested additional documents on companies poised to resume the supplies of Georgian wine and mineral water to the Russian market, Russia’s chief epidemiologist Gennady Onishchenko said on Saturday to Russian Interfax news agency. According to him, Russian experts plan to visit Georgia next week to inspect those Georgian enterprises that have applied for permission to export to Russia. Negotiations among Georgian and Russian experts about returning Georgian fruits, vegetables and other agricultural products on the Russian market will take place at the end of February. 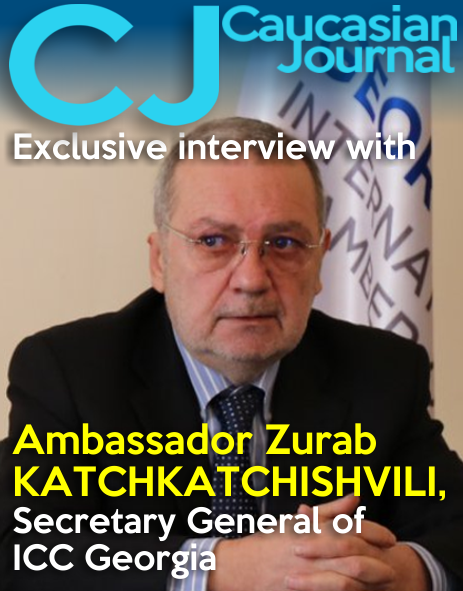 Special representative of Prime Minister on the issues of relationship with Russia, Zurab Abashidze states that there is a real perspective that Georgian wine and mineral water return to Russian market by spring. 16.02.2013 (Hvino News). 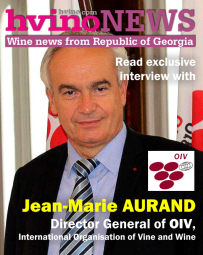 Avag Harutyunyan, president of Union of Armenian Wine Producers, commented whether the entry of the Georgian wine into the Russian market would damage the export of the Armenian wine, particularly given the fact that the Georgians had been putting a lot of effort recently so that Georgia had been recognized as the birthplace of wine. 15.02.2013. Russia’s Surgeon General, Gennady Onishchenko is a well-known teetotaler who recommends not drinking for everyone, even on New Year’s Eve. So it came as a surprise last week when he spoke out enthusiastically about wines from neighboring Georgia. The Surgeon General was the one who banned the sale of Georgian wine back in 2006. Of course, that was not for political, or economic reasons, but rather due to unsanitary conditions. There were some small squabbles during the meeting. The Georgians said that there was no way to comply with all of the procedures for the restoration of trade before the summer, while Onishchenko shook their hands and said that it needs to be done sooner, in the spring. 14.02.2013 (Hvino News). Experts of the Russian consumer rights watchdog will travel to Georgia next week to inspect enterprises that plan to export wine and mineral water to the Russian market, Rospotrebnadzor's Gennady Onishchenko told Russian news agency Interfax on Thursday. "I think they will go there next week," he said. A date for the Russian delegation's departure will be set after Rospotrebnadzor finishes studying Tbilisi's list of Georgian companies willing to accept Russian inspectors, he said. Russian experts' visit to Georgia, initially set for this week, was rescheduled because Georgia belatedly sent this list of enterprises to Rospotrebnadzor, Onishchenko said. The Russian watchdog informed Georgia on February 7 that it was ready to inspect 30 companies that plan to deliver wine and mineral water to the Russian market. Georgian wine and mineral water exports to Russia were suspended in 2006 amid tensions in Russian-Georgian relations. There are no diplomatic relations between Russia and Georgia today. 13.02.2013 (Hvino News) According to Russian consumer safety agency Rospotrebnadzor, total of 69 Georgian wine and mineral water producers have applied to export product to Russia, Russian news agency Interfax reported. "All of the documents received have been forwarded to Rospotrebnadzor experts for study. Priority will be given to those 31 organizations that have submitted information for the documentary check in full. The checks of the other 38 will be carried out after they submit the required documents," Rospotrebnadzor said on its website. The schedule for inspections by three teams of Rospotrebnadzor experts will be determined once the list of exporting firms is finalized. 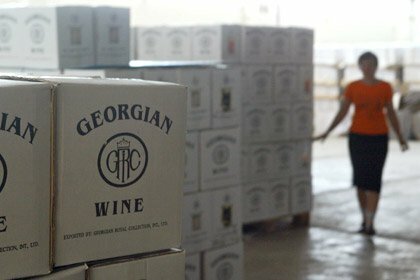 Georgia's National Wine Agency provided Rospotrebnadzor on February 11 with a general list of Georgian alcoholic beverage and mineral water producers interested in exporting to Russia, as well as documents laying out the system for monitoring the quality and safety of products meant for human consumption. 12.02.2013. Two weeks ago, I landed in Paris full of snot and groggy from the Ambien and made my way over to my friends in the old lady 7th Arr, just under the Tour Eiffel. I blew my nose, dropped my bag and when in my right mind, hopped on line 8, traveled to chef Inaki Aizpitarte’s Chateaubriand in the Oberkampf to a special tasting that winemaker (and local distributor of his friend's wines) Thierry Puzelat was putting on. 11.02.2013 (Hvino News). The arrival by Russian inspections in Georgia to inspect Georgian enterprises has been delayed, as Gennady Onishchenko, head of Rospotrebnadzor and chief sanitary doctor told the Russian news agency Interfax on Monday. "The departure of three teams of experts was postponed on indefinite term", he said. On February 4, at a meeting with the Georgian delegation in Moscow at Rospotrebnadzor they have agreed on the mechanism of granting access of wine and mineral water from Georgia to Russia. In particular, it was decided that this week, three teams of experts from Rospotrebnadzor were to visit Georgia to inspect production. "We have agreed that during a week the Georgian side would develop and provide us their suggestions regarding the enterprises to be visited by our experts, and we would depart on Monday. But we have not received such information, so the departure was delayed", said Gennady Onishchenko. Earlier, Levan Davitashvili, head of National Wine Agency of Georgia, said that the lists of enterprises for inspection were to be provided to the Russian side by Monday. 09.02.2013 (Hvino News). Georgian Wine Tasting is scheduled for Saturday 16th February 2013 at Engawa Inn in Jiyugaoka, Tokyo, Japan (18:00-20:30). The organizers say: "We will hold the next Wine Tasting Party. At the event you will be able to enjoy drinking a variety of white and red unique kvevri natural organic wines from Georgia (Europe) not available anywhere else in Japan. Georgia has the oldest tradition of wine making, as much as 8,000 years old, with over 500 unique grape varieties found nowhere else. These varietals have not been cross-bred and retain their natural power and structure. The wines are made with all of the grape (skin and seed, as well as flesh) in a unique style in clay jars and fermented underground at natural earth temperature. The wines are organic with only naturally occurring sulphites, giving a clean product rich in polyphenols and antioxidants with great health benefits. 08.02.2013. An end to the Russian ban on Georgian wine imports is looking increasingly probable in 2013, according to industry professionals. Pavel Titov, chairman of Russia’s oldest sparkling wine producer, Abrau-Durso, told Decanter.com sources in the Kremlin had confirmed that after initial discussions, Russia would ‘most likely’ start importing Georgian wine before the end of the year. ‘We must remember that the ban was not solely political, Georgian wine quality has improved immensely since the initial enactment of the ban. Russia had to protect itself from being flooded with cheap, low quality wine,’ Titov said. 08.02.2013 (Hvino News) Russia's chief sanitarian Genady Onishchenko says the return of Georgian wine to the Russian market is not an important issue for Russia. "May be it is important for them, i.e. for Georgia, but for us it is a very insignificant fact," Onishchenko said, adding Georgian wine product might occupy only 4% of the total of the Russian market, which in fact meant nothing. Onishchenko commented on his recent meeting with Georgian agriculture ministry delegation, who discussed the process of return of Georgian wine and mineral waters to Russia. He confirmed that several groups of experts would arrive in Georgia soon to inspect the wine factories and give licenses to the company for importing their product to Russia. 07.02.2013. Russian and Georgian officials met earlier this week on the possibility of reopening the market for wine and mineral water. The announcement is the first since November last year when Russia announced it was considering lifting the ban as the drinks business reported at the time. Georgia is in the process of drawing up a list of producers who wish to export to Russia who will then be subject to an inspection by the Russian consumer rights protection agency, Rospotrebnadzor. 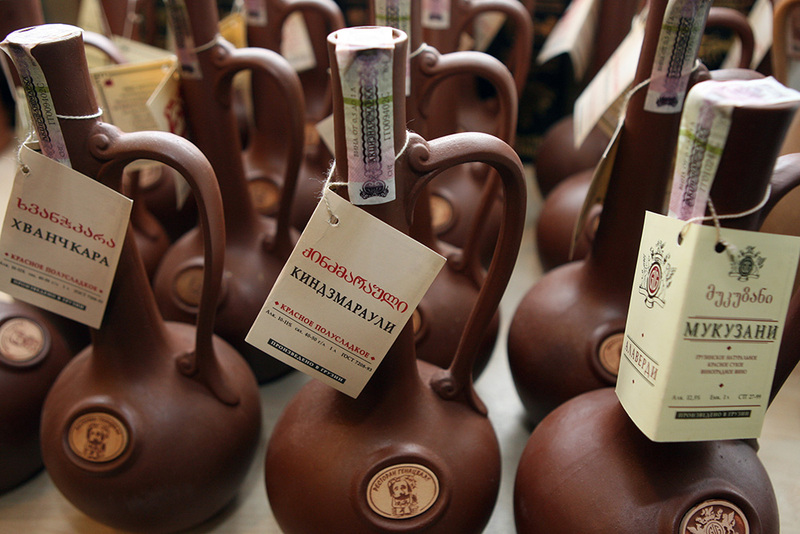 Russia banned Georgian wine products in 2006 citing poor quality and health fears. 07.02.2013. Those who remember the Russian Ambassador Vyacheslav Kovalenko leaving Georgia after the 2008 August War will also recall the toast he made with a glass of water at Tbilisi Airport. The ambassador drank the toast to the century-long friendship of the Russian and Georgian people with water, thus, putting a full stop to the historical era that Russian and Georgian diplomats started two centuries ago with bowls full of wine. Many observers evaluated the water toast of the Russian ambassador as a symbolic gesture: according to the experts, due to the embargo on Georgian wines and other products introduced in Russia in 2006, Kovalenko had to replace a glass of wine with a glass of water in front of the media gathered at the airport that day. After the August War of 2008 the water toast of the Russian Ambassador took on a totally different context but the fact remains a vivid example of how Georgian wine became a political hostage in the Russian-Georgian confrontation. 06.02.2013. “It is possible that Georgian wine will return to the Russian market in spring of this year,” Levan Davitashvili, head of the National Wine Agency, said after the negotiations with the Russian side concluded on February 4. However, Davitashvili admitted that currently it is hard to make exact forecast. Genadi Onishenko, head of the Russian State Consumer Protection Agency, said as reply to Davitashvili’s statement, that “it is realistic” only if the politics do not interfere. “Georgian entrepreneurs have taken significant steps toward improving the situation during the last years,” Onishenko said, after a meeting with the Georgian delegation in Russia on Monday. He also expressed the readiness to come to Georgia and resolve various issues related to the return of Georgian products to the Russian market. 06.02.2013 (Hvino News) Georgian wine imports will account for an insignificant part of the Russian market for alcoholic beverages after these deliveries are resumed, Gennady Onishchenko, head of the consumer rights watchdog Rospotrebnadzor and Russia's chief epidemiologist, told Russian agency Interfax on Tuesday. "This step could be crucial for them [Georgia], but it is not the most important thing for us. [Georgian wine imports] will account for around 4% of the market. They used to control 4% of our market at the most. But these 4% do not mean that much to us," he said. Onishchenko and Georgian officials agreed upon a mechanism for re-opening access to the Russian market for Georgian wine and mineral water at a meeting in Moscow on Monday. Onishchenko said that imports of Georgian wine and mineral water to Russia could be resumed in spring if Georgia agreed to meet all conditions. 06.02.2013. As Russia took steps to resume imports of Georgian-produced wine and mineral water, Georgia’s new prime minister, the billionaire Bidzina Ivanishvili, said Tuesday that he was making progress on one of his campaign promises — to repair the country’s badly frayed relationship with its huge neighbor. Mr. Ivanishvili has struggled to meet the expectations that swept him to power in October, ending the nine-year political dominance of President Mikheil Saakashvili and his party. Many voters expected his election to be followed by immediate financial relief and a turnaround in relations with Russia. 06.02.2013. Georgian wine and mineral water are poised to return to Russian shops and restaurants after a seven-year absence, marking the first breakthrough in relations since the 2008 war between the ex-Soviet neighbours. The end of Moscow’s 2006 trade ban – agreed in principle on Monday – highlights the shift since businessman Bidzina Ivanishvili became Georgia’s premier in October pledging to rebuild ties with Russia, where he made his estimated $6.4bn fortune. Mr Ivanishvili’s government insists Georgia’s priority remains closer integration with Nato and the European Union. But it says this can only be achieved by also restoring trust with Moscow. 05.02.2013. Georgian wine, which was banned by Russia in 2006, may return to the Russian market in spring, Georgian and Russian officials said on Monday after talks in Moscow, Russian news agency RIA Novosti reports. “Perhaps, by the end of spring, Georgian products will enter the Russian market,” said Georgian National Wine Agency head Levan Davitashvili, after talks between a Georgian delegation and Russian consumer watchdog Rospotrebnadzor on reopening the Russian market. “In my opinion, this is realistic, or sooner,” Rospotrebnadzor head Gennady Onishchenko said. Rospotrebnadzor specialists will go “in about a week” to inspect those Georgian enterprises that have provided documents for the resumption of Georgian supplies to Russia, he said. The next step will be the registration of Georgian products in Russia, he said. “This will be followed by admission to the Russian market. Admission will be granted through customs,” he said. 05.02.2013 (Hvino News) Hvino News is honoured to become the official information partner of National Wine Agency of Georgia (NWA). This was decided during a working meeting between Levan Davitashvili, director of NWA, and Alexander Kaffka, publisher of Hvino.com, last week in Tbilisi. "You have showed that you can work efficiently to promote Georgian wine", said Mr. Davitashvili about the Hvino News project, launched less than a year ago. "We have worked hard, and we are thankful to National Wine Agency for appreciation of our efforts. 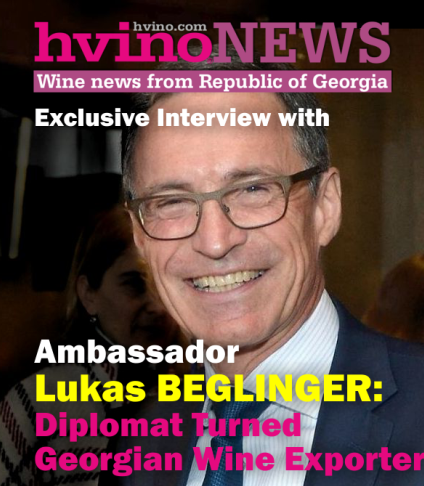 I am sure now will be able to make much more useful contribution, in cooperation with Georgia's main wine authority", commented Hvino.com's Mr. Kaffka. Hvino News will soon start to distribute official NWA's information, in addition to its usual news. Currently, content of Hvino News consists of its own news, and reposts from English-language sources in about 50-50 proportion. Plans for further extension of information and media services for NWA have also been discussed. 05.02.2013. A Russian official said Monday that Moscow may soon resume imports of Georgian wine, mineral water and fruit after a seven-year ban, the first tentative step toward repairing the ruptured ties between the two ex-Soviet neighbors. Gennady Onishchenko, Russia's top sanitation official, said a first round of talks between delegations from both countries was successful Monday, and that a Russian delegation will visit Georgia this month to discuss issues related to restarting the import of wine and mineral water. He said that could happen by this spring and that fruit imports may follow. Russia banned such trade in 2006 amid rising political tensions in the run up to a brief war with Georgia in 2008. An election in October made tycoon and philanthropist Bidzina Ivanishvili Georgia's new prime minister, and he pledged to normalize relations with Russia, where he had made his fortune. 04.02.2013. Russia agreed in principle on Monday to lift an embargo on imports of wine and mineral water from Georgia, a first step towards rebuilding relations shattered by their 2008 war. Water and wine trade could resume in months, seven years after Russia banned two of its small southern neighbour's main exports as tension mounted before the five-day war. Prospects of a thaw in relations between the former Soviet republics have improved since Bidzina Ivanishvili, who made his fortune doing business in Russia, became Georgia's prime minister after a parliamentary election last October. 04.02.2013 (Hvino News) A seven-member Georgian delegation left here on Sunday for Moscow to start the country's first official visit to Russian Federation since August 2008. 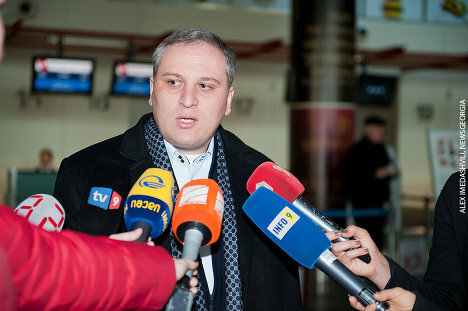 Levan Davitashvili, head of the delegation, told the press at the Tbilisi International Airport that the delegation would present Georgian wines in Moscow. "We'll hold presentations about the (quality) control mechanism of the food and wines in Georgia ... how the product is controlled in Georgia; how the export is certified ... and then it will be discussed what further steps should be taken to return Georgian products to the Russian market," said Davitashvili. "Apart from wines, mineral water exports will also be discussed and on the next step -- fruits and vegetables," Davitashvili added. Tengiz Kalandadze, deputy chief of the Georgian state food agency, told the press that the Georgians would be ready to talk with Russia's chief sanitary doctor Gennady Onishchenko. Members of the Moscow-bound Georgian delegation also include Davit Grigolia, chief adviser for the Georgian state wine agency, deputy head of the national food agency Tengiz Kalandadze, head of the phytosanitary department of the national food agency Zurab Lipartia, Executive director of the association Georgian Wine Tinatin Kezeli, chairperson of Georgian Wine Giorgi Ramishvili, Director of Fruit and Vegetable Company Giorgi Jakhutashvili. 02.02.2013. I had been emailed about this tasting a few weeks prior to the event, and I decided to attend, given that the weather wouldn't be too tough and allow me to ride there on motorbike from work. I must confess that I occasionally give up on a few tastings because either torrential rains or snowy/icy conditions. I arrived at the place at around 4:30pm, the day had been bright and almost warm, especially compared with the freezing temperatures of a week before. Very good for the tasting, tastings in freezing temperatures are always hard on the wines. Thierry Puzelat who manages to make and organize so many things beyond his own winery and his négoce, had put up this tasting centered on Georgia wines, with the help of the people of Le Chateaubriand, a restaurant of the 11th arrondissement known for its food and wine list. The emailing of Puzelat about the event highlighted the fact that these artisan winegrowers worked organically and vinified the kvevri way, using buried amphorae as fermenters. Most of these vintners had never traveled to France and that was an opportunity to meet them as well as to taste their wines. They came from several regions of Georgia, from Kakhetia near Azerbaidjan (a hot and dry region), from Imeretia (in the west, a more humid area near the black sea) and from near Tbilisi at the border with breakaway-region Ossetia. There would be also wine from a monastery, the leading monk/cellar master not coming alas in person. 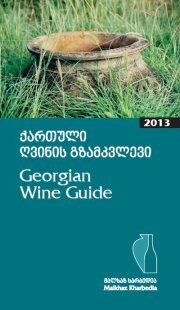 This is the second (2013) edition of the Georgian Wine Guide. Georgian wine culture has changed a lot since the publication of the first edition last year. Many important steps have been taken towards self-identification, and our wine-makers have realized that the traditional methods of wine-making in qvevri which were developed over thousands of years count among the country’s most important values. It is this wine which must become the image of wine in Georgia. Last year’s Guide featured only 21 traditional wines, but their number has increased significantly this year and they now have pride of place in our Guide. 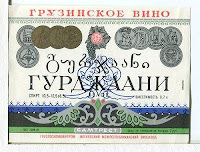 One could also say that we are currently experiencing a revival of Georgian qvevri wines. If, two or three years ago, only a handful of traditional Kakhetian wines existed on the market, nowadays people can choose qvevri wine from almost every region of Georgia. 2012 was a very important year in this respect: several amateur or experienced wine-makers decided to begin to work with qvevri, and next year’s Guide will hopefully include the results of their work. The number of quality rosé wines in Georgia has also increased quite significantly. 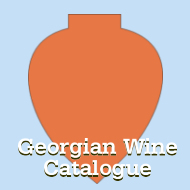 This variety of wine re-emerged on the Georgian market several years ago, and this year’s Guide includes up to ten rosé wines. This wine has become fashionable, and every Georgian wine-maker now feels obliged to make pink wine—either from Saperavi or Tavkveri grapes, or from foreign varieties such as Cabernet or Muscat. The expression “a new broom sweeps clean” could be used for rosé wine, and I hope that the quality and diversity of these wines will be improved over time. 02.02.2013. If there's a way to dilute the bitterness in relations between Russia and Georgia after a 2008 war, it may lie in a lush valley south of the Caucasus Mountain border between the feuding former Soviet republics. Borjomi, a resort town with a mix of grand Soviet-era sanatoriums and drab apartment blocks, sent 60 percent of its production to Russia before the ban, and output plunged 43 percent to 63 million litres in 2006. 01.02.2013 (Hvino News) National Wine Agency denies the information that at the first stage companies based on Russian capital will enter the Russian market. Levan Davitashvili, head of the agency, speaking to Georgian radio Commersant, noted that Moscow did not divide companies or defined stages of return to Russian market. Davitashvili said that when Georgian wine returns to the Russian market, this will affect everyone equally. Information on the return of the companies based on the Russian capital at the first phase appeared in the Russian media. 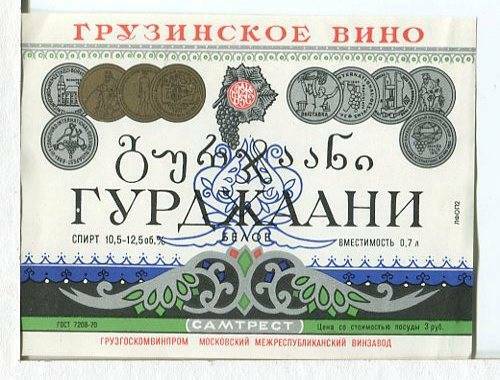 Among the companies were named Tbilisi Wine Cellar, founded by Dionis Club distributing company, as well as GWS whose vineyards and a winery belonged to Pernod Ricard until 2011, and now are under ownership of Marussia Beverages BV, which works in Russian distribution. 01.02.2012. In power for just three months, the government of Prime Minister Bidzina Ivanishvili appears to have struck gold in economic relations with Russia: officials in Moscow have tentatively given the green light to resuming Georgian wine and mineral water imports, reopening a major market for Georgian farmers and businesses. While critics in Tbilisi have slammed the overture as striking a deal with an occupying power, the true test of PM Ivanishvili's Russian gambit will be his ability to balance the country's economic need for its northern neighbour with Moscow's penchant for undermining Georgian sovereignty and its stated goal of moving closer to the EU and NATO. On February 4, a Georgian delegation is scheduled to meet with Russia's de facto wine tsar, Gennady Onishchenko, head of the Russian state consumer protection agency. Onishchenko famously banned Georgian wine, mineral water and other goods on alleged health concerns in 2006, though it was almost certainly politically motivated, given the deep hatred and mistrust between Vladimir Putin's Kremlin and Georgian President Mikheil Saakashvili. 01.02.2013. Georgian and Russian sommeliers agreed to exchange information on Georgian wine to avoid any possible misinformation and misunderstanding like recently spread information on alleged change of Georgian wine sorts and technologies, as the Head of the Guild of Russian Sommeliers said on the eve of a breakthrough visit of Georgian delegation to Moscow. Georgian wine looks forward to reappearing on Russian market. To this end, Georgian official delegation will visit Moscow on February 4, 2013 to meet Genadi Onishchenko, the Head of Rospotrebnadzor [sanitary body of Russian Federation], who banned Georgian agriculture product including wine and mineral water in 2006 under alleged quality security reasons.